Follow the driveline from the tractor PTO and through the gearbox and then to the rollers and pick-up. 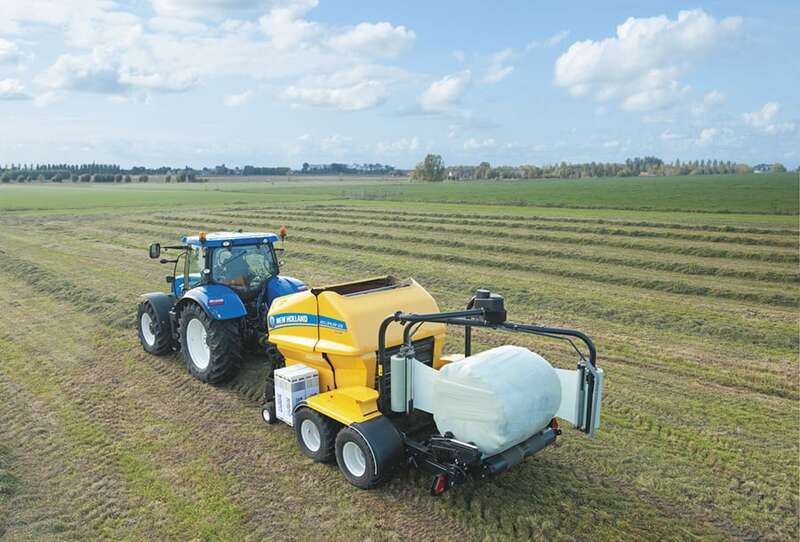 The 20 crop processing knives can be raised or lowered to suit every type of bale, different crops and straw as well as conditions. Robust lubricated sleeve bearings support the chamber rollers. Difficult slopes and undulating land? 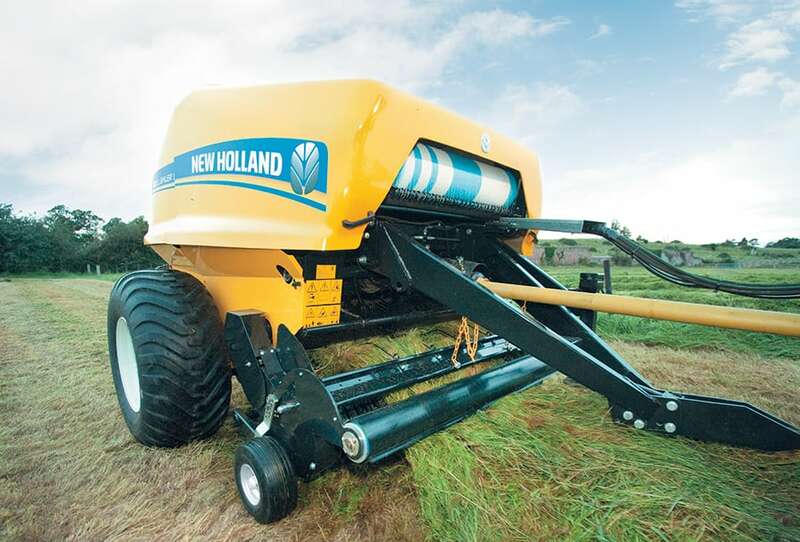 No problem with a New Holland Roll Baler. 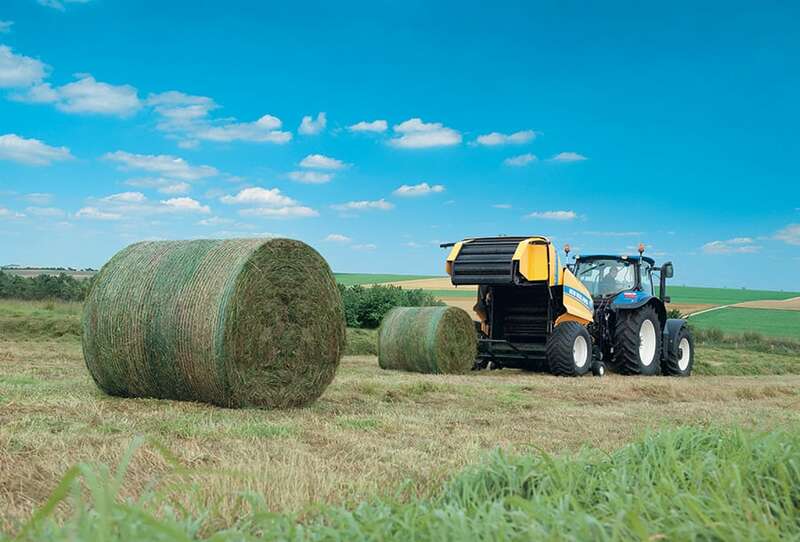 New Holland developed the Roll Baler series specifically for the most demanding large livestock and contract users. 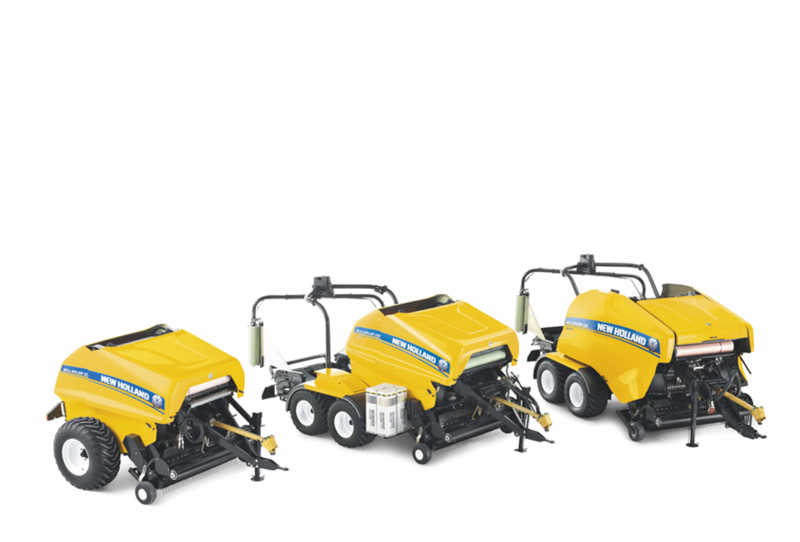 Of equal importance, these rugged balers are designed to operate in a wide range of conditions. 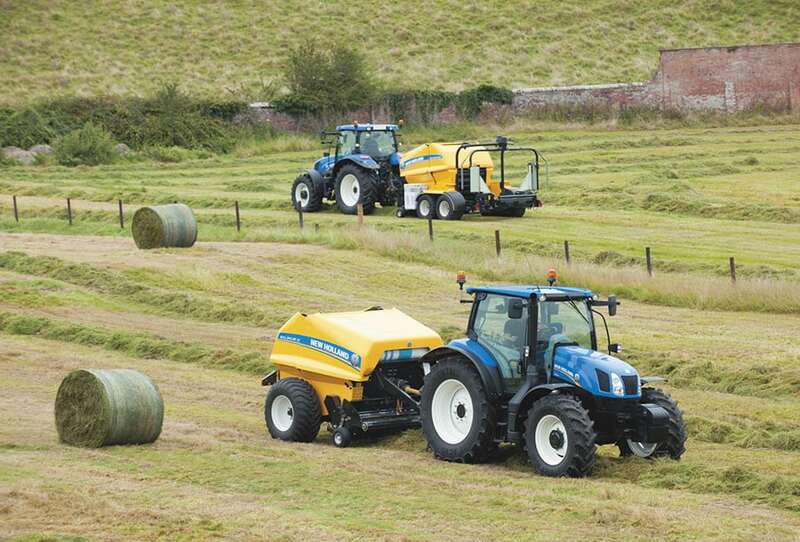 This includes working with heavy grass, dense hay and forage crops plus large dry, brittle straw swaths. Getting the balers ready for work takes less time thanks to fully automated lubrication for the baler chains and rollers. Simply check the lube levels, grease the PTO, load your film and net and away you go. 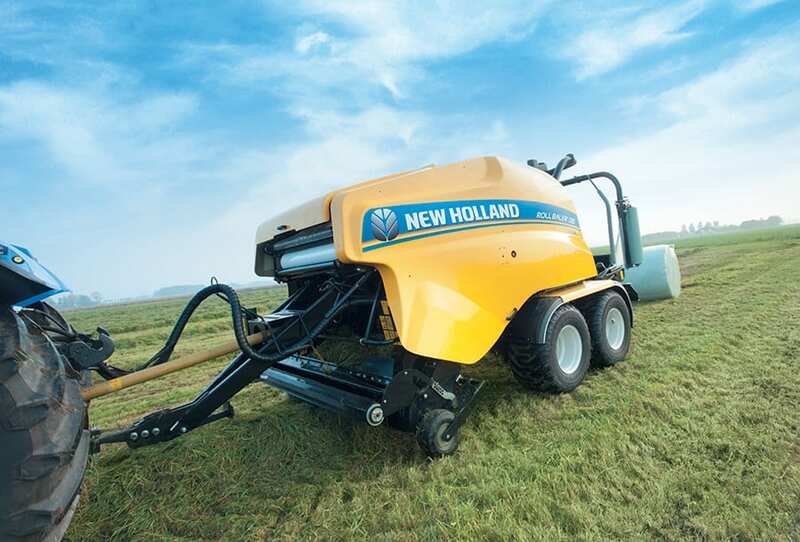 Each of the three Roll Baler models runs on a purpose designed chassis designed to carry exceptionally heavy bales over rough terrain. 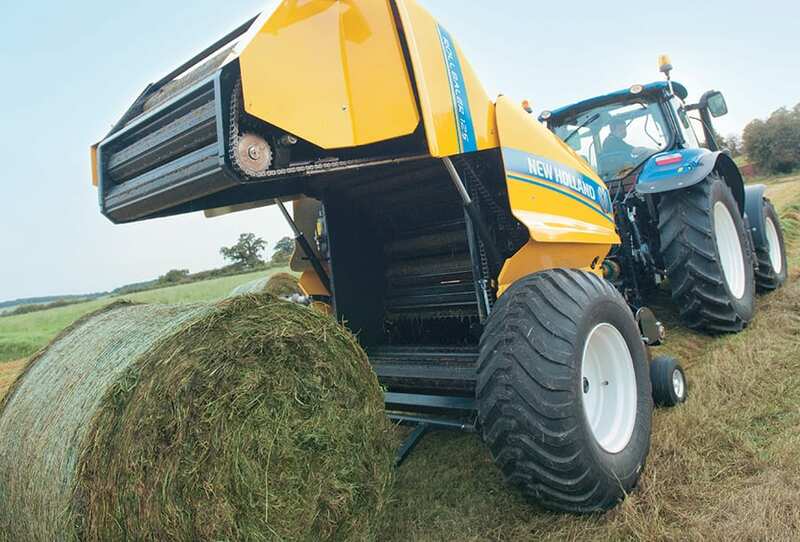 The way in which the pick-up, bale chamber and, on the Combi and Ultra models, the wrapper fit the chassis, has been carefully engineered so that load stress is distributed through the frame and not through the working components of the baler. 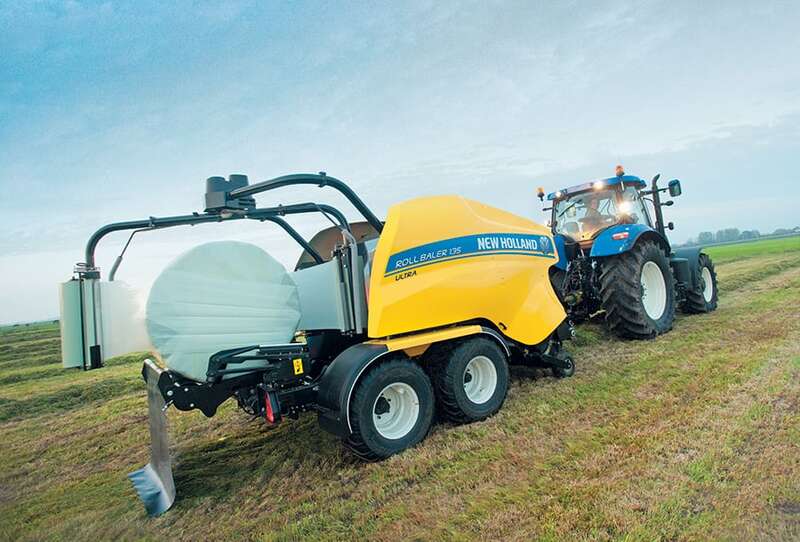 The driveline of New Holland Roll Balers has been tested in the most extreme working conditions to ensure it is dependable, efficient and durable. The combined use of heavy-duty chains and sprockets is matched to careful design. This improves driveline efficiency and reduces excess stress on those components that are subject to the highest loads in work. Centralised, electronically controlled greasing guarantees that the rollers are fed lubricant during work. 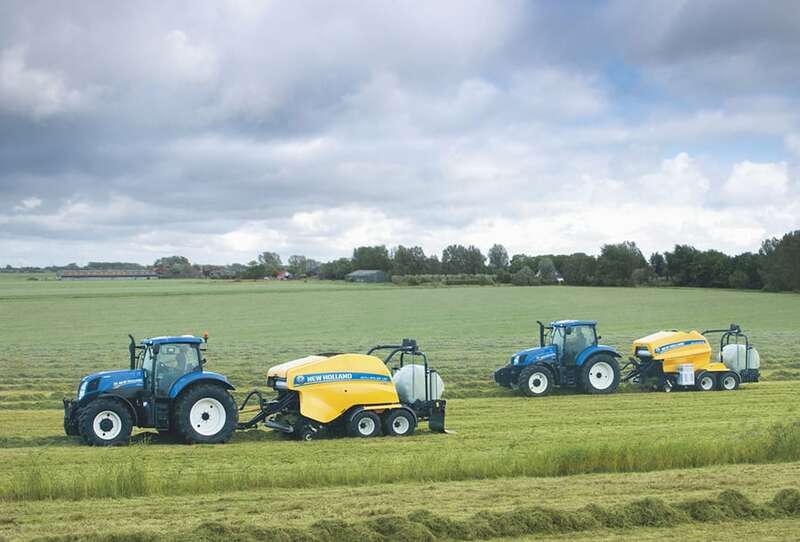 This ensures that even the hardest working lower rolls have a working life of tens of thousands of bales. The chain oiling system does not require the use of a special lubricant. 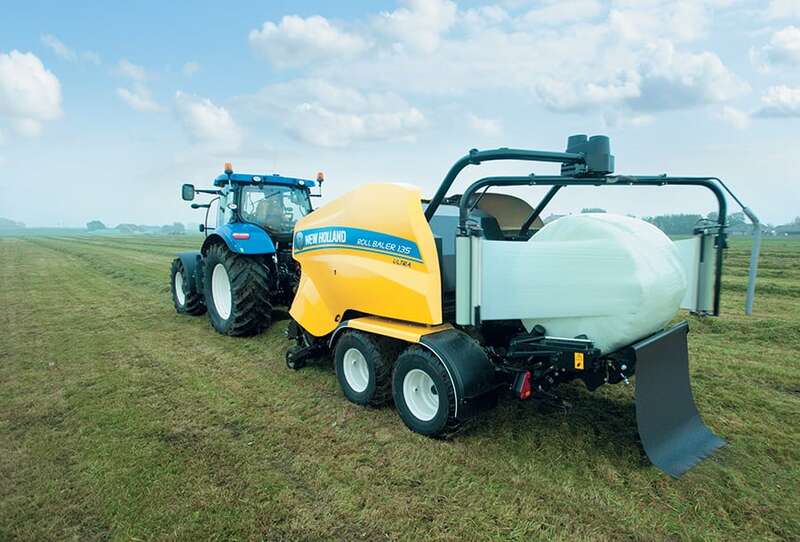 To minimise oil consumption, the chains are lubricated only when the bale chamber tailgate is opened. 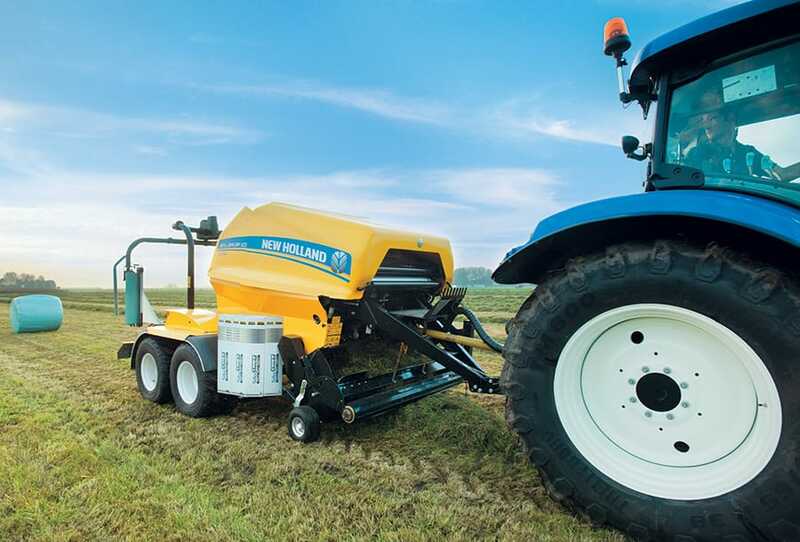 New Holland uses proven sleeve bearings to support the chamber rollers. These offer a number of advantages over conventional roller bearings that include longevity, high tolerance of contaminants, ease of replacement and low operating costs. The sleeve bearing to roll shaft area is increased to provide the exceptional strength necessary to support large, heavy bales. When the sleeve bearing needs replacing, it is a simple and economical operation.